Drain pineapple; reserve juice. Reserve 2 pineapple slices for some other use. Stir together melted butter and brown sugar. Evenly divide sugar aggregate into 18 (2/3 cup*) muffin cups sprayed with cooking spray. Lightly press well-drained pineapple slices into sugar aggregate. Place cherries in middle of pineapple, sliced side up. Prepare cake blend consistent with the bundle directions, replacing quantity of water called for with reserved juice. Pour 1/4 cup to one/three cup batter into every muffin cup. Bake at 350°F for 20 to twenty-five mins or till wooden select inserted in middle comes out smooth. Cool five minutes. Loosen edges and invert onto cookie sheets. 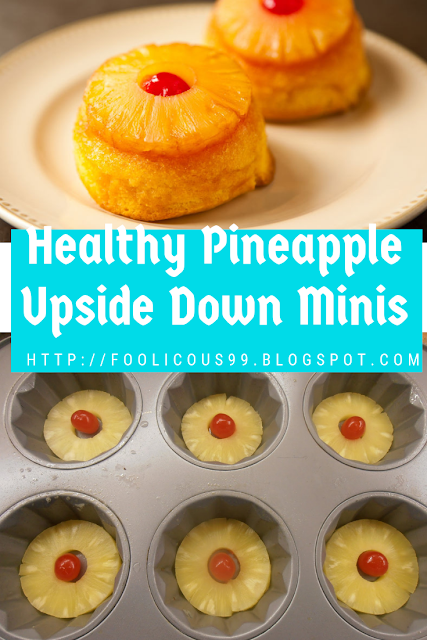 If muffin cup is smaller than 2/3 cup, it’s going to not be large enough to keep pineapple slice and batter. Cakes can be served with Pineapple Caramel Sauce. Combine eight oz.. DOLE Crushed Pineapple, 1/four cup heavy cream, 1 cup brown sugar, and a couple of tablespoons butter in a small saucepan. Bring to a boil and simmer for 10 mins. Remove from heat. When sauce has cooled, combo in a blender or meals processor till clean.